The first t-shirt for T-shirt Tuesday is by Em and Sprout. The design is called Kiki Kokeshi, and I love it! 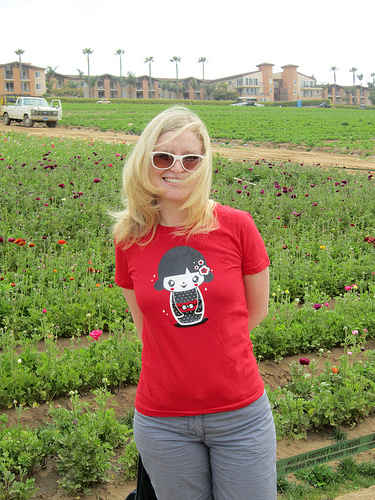 When I was in Japan in 2009, I absolutely fell in love with these sweet little dolls, and I love the way it is depicted on this shirt. And it's red! What's not to love?